A Kansas man who survived a deadly van crash is mourning once again. KANSAS CITY, Mo. — A Kansas man who survived a deadly van crash is mourning once again. Tim Abbott is still struggling to recover from a van accident back in August . The father of three had been chaperoning a float trip for Faith Chapel Assembly of God when all of the sudden the left rear tire on the van blew out. According to witnesses and police, the van to skid into the right side of the road. The van rolled down a steep embankment and stopped when it struck a tree. Three teenagers died in the crash, three others were injured. Abbott suffered extensive injuries, including broken ribs, a broken neck, a brain injury, as well as shoulder and eye damage. His wife, Rachel, took care of him for about five months. "It was a blessing. We got to spend every minute and hour together," he said. In December, tragedy struck the Abbott home again. Rachel died suddenly of a brain aneurysm on Dec. 30. "She always helped others. I want to carry on her legacy," said Abbott. "I want [my kids] to grow up and know who she was. I want them to grow up and know who her family was." Rachel was an organ donor. She and Abbott had two kids together, a five-year-old and 18-month-old, who her family says were her life. "She was just genuinely to her core a very good person. I know she would just want us to take care of her babies and Tim," said Mary Rokicki, Rachel's sister. Abbott is still in rehab, unable to lift things that are heavier than 15 pounds or return to work. It's unclear if he will need to undergo future surgeries. "I don't like help. I like to do things my own and this time it is different," said Abbott. 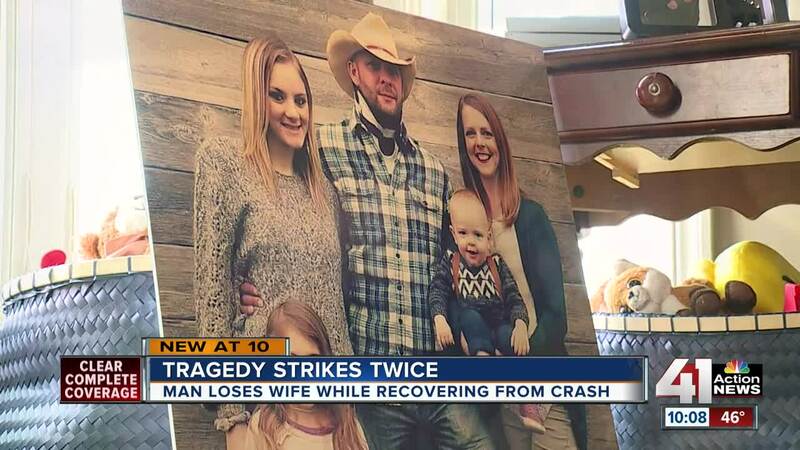 To help the father of three, his church has set up a GoFundMe page to raise funds for his recovery and family. Donations can also made directly to the church by mailing checks marked 'For Tim Abbot.' The church's address is Faith Chapel, 15000 Newton Drive, Overland Park, Kansas. 66223.